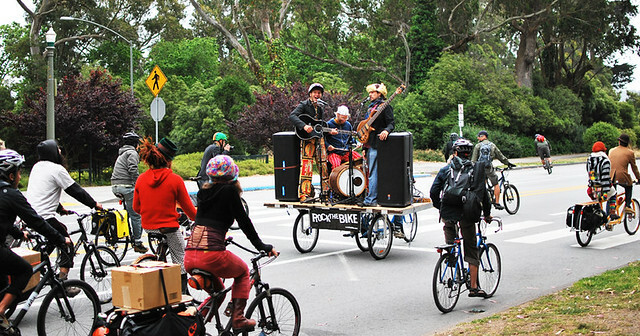 Mobile Sound comes naturally for Rock The Bike — we’ve been hosting musically-enhanced bike rides since 2002. 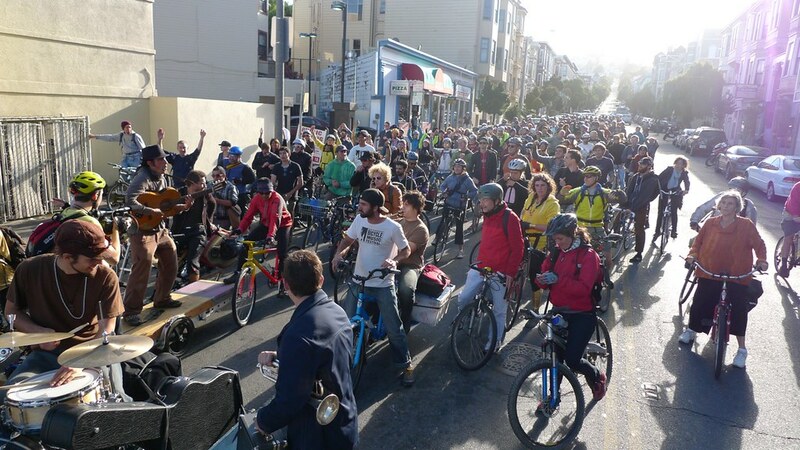 Each year we improve our gear and take on new ways of bringing music to the streets. 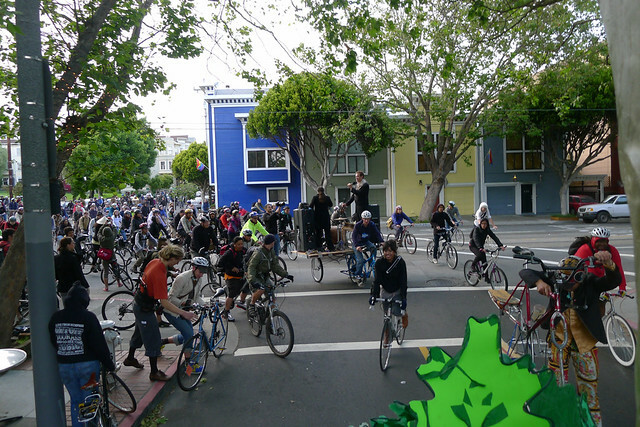 Above: Rock The Bike’s Live On Bike Stage hoists Opera singers Bill O’Neil and Brooke Munoz during the Bicycle Music Festival‘s move from Golden Gate Park to the Mission District. Above: Justin Ancheta performs Live On Bike at the Bicycle Music Festival. Our fees for the Mobile Sound service range in price depending on the travel involved, size of the crowd, nature of the event, etc. Got a special event you’re celebrating? You can decorate the mobile stage with your logo, brand, or other symbolic imagery. To request our help with your event, please contact us as soon as possible so that we can check our schedule and get your event in our calendar. It’s best that you have these questions answered before you contact us.